STEPHEN FOSTER was one of my first and probably the strongest of my early musical influences. He and Roy Rogers and Hank Williams had an impact on my future musical direction; the difference being that Roy and Hank were still alive when I began my school years. Hank Williams, however, died on or around New Years Day 1953. Foster's songs were already a century old, yet still seemed contemporary in many ways. I can't help appreciating--even identifying with--this gentle songsmith from another era. And I feel that America has, perhaps, matured enough to once again treasure his important role in our cultural tradition. 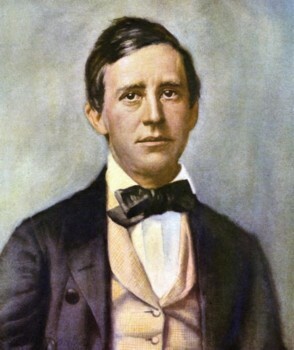 Although I'm not certain when I first heard the songs of Stephen Foster, I did become familiar with his music while singing in school choir during second and third grades. Mrs. Dossett, a stern, passionate lady with one wooden leg, was obviously enamored with Foster. In retrospect, I can easily believe Foster stirred her emotions in some significant way. No doubt, that dedicated young music teacher had the blues, for reasons on which I dare not speculate. Foster's songs were simple enough that even a second grader could feel (if not understand) the deeper meaning. In the early 1950s, Foster's American classics were scarcely a century old and a new folk music movement was well underway. Top 40 radio was just around the bend; Elvis, rock n' roll, and Beatlemania were still beyond the cultural horizon. Political correctness had not become a national issue, even though racial tensions were clearly building toward a tsunami that would roll across the nation in the next decade. A full century after the Civil War, civil rights demanded and achieved a forum. As if Foster hadn't experienced enough sorrow and rejection during his short life (1826-1864), he became associated with the "Uncle Tom" sourdough rising in a steamy Twentieth Century socio-political oven. Never mind that his rare and regrettable verses using the "N" word would be brought sharply into focus; a person like me, who grew up singing OLD BLACK JOE without a hint of racial intention, could no longer do so without consequences. Nevertheless, two Foster compositions, MY OLD KENTUCKY HOME and SWANEE RIVER are, in fact, the official state songs of Kentucky and Florida, respectively. And now, in the Twenty-First Century, thanks to Bob Dylan, American Roots Publishing, and others, Stephen Foster's quintessential American songs can finally be heard...indeed, celebrated once again. His music--as important to Foster as his fellow citizens (black and white)--was often good enough to gain national attention without the existence of radio and records. Consider Foster's teenaged ditty OH! SUSANNA, which first became popular east of the Mississippi, then, became a renowned theme song of the 1849 California Gold Rush out West! The lyrics were altered to fit the bill: "I'm goin' to Californy with a banjo on my knee." Clearly influenced by his oldest sister Charlotte Susannah Foster and a few popular performers of the day, Foster, nevertheless, "studied the masters of musical composition such as Mozart, Weber, and Beethoven, and became proficient in both French and German." Many of his songs were published and re-published during his brief lifetime and made popular by singing groups like the Christy Minstrels. During Foster's most productive years (1849-1860) he reportedly earned just over $1300 per year...not enough to support a family of three. Much has been written about (or guessed at) regarding Stephen Foster's last difficult years alone in New York. What is known is, his wife Jane and daughter Marion left in 1861, returning to Lewistown, Pennsylvania. George Mahon, one of Foster's few friends in New York, recalled the modest composer sitting at Mahon's piano, and remembering the music but no words to his songs, save for HARD TIMES, COME AGAIN NO MORE. Stephen Foster died January 13, 1864, in New York's Bellevue Hospital. In his wallet were 3 pennies, 35 cents in Civil War money, and a scrap of paper containing the words, "Dear friends and gentle hearts." Although my album pays tribute to Stephen Foster, it's not a collection of his songs performed by me. The exception is an arrangement of OH! SUSANNA that my friend Greg Lowry and I worked out together in my front room. Greg removed the wooden back from his banjo and, playing claw-hammer style (without picks), achieved the very sound I was looking for. Greg also improvised the splendid one-take harmonica solo! I believe Stephen Foster would like our treatment of his classic, by historical accounts one of the first songs he wrote. What we commonly regard as folk music was the pop music of Foster's era, despite its sad reflection of a Nineteenth Century American culture that was racially-depraved. 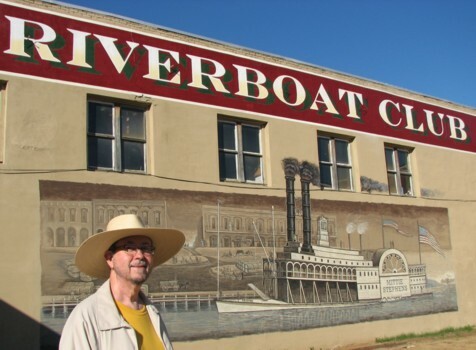 BLUES FOR STEPHEN FOSTER (the song) began as a haunting 5-string banjo instrumental that came to me while I was working at KWKH in Shreveport, Louisiana in 1988. I played a lot of banjo during the three years before Leslie and I moved to Austin, and even attended Pete Wernick's famous Banjo Camp in Niwot, Colorado. It was an experience I'll always treasure. Twenty years later, Leslie and I visited our friends Butch Hause and Sarah Lincoln at their farm near Berthoud, Colorado. Butch sat me down in his recording studio (The Ranger Station) with a  Martin guitar, and we imrovised, on the spot, a basic vocal and guitar track that eventually became the title-song for this album. These are the only two Foster-related songs you'll find on this album. "Ranger" Butch mossied over to his computer and printed out several recognizable Foster lyrics and I inserted them into the piece at regular intervals. 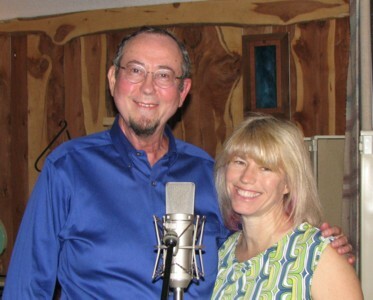 A year or so later, Butch invited [into the studio] his extraordinary neighbors Joe Scott and Hannah Alkire...a husband and wife musical sensation known worldwide as ACOUSTIC EIDOLON. With Butch at the knobs, playing sublime bass, Joe's harmonic kisses on his custom made guit-jo, and Hannah's magnificent cello soaring on the melodies of a beautifully interwoven medley of Foster tunes, this tour de force was created! This album also pays tribute to my late songwriting friend and partner LARRY M. ROTHEWLL. Years ago, Larry gave me his blessing to record a song he'd written but never gotten around to recording. After his death I immediately began working on STAINED GLASS HEART. I chose an arrangement and sound reminiscent of POCO, one of our favorite bands. 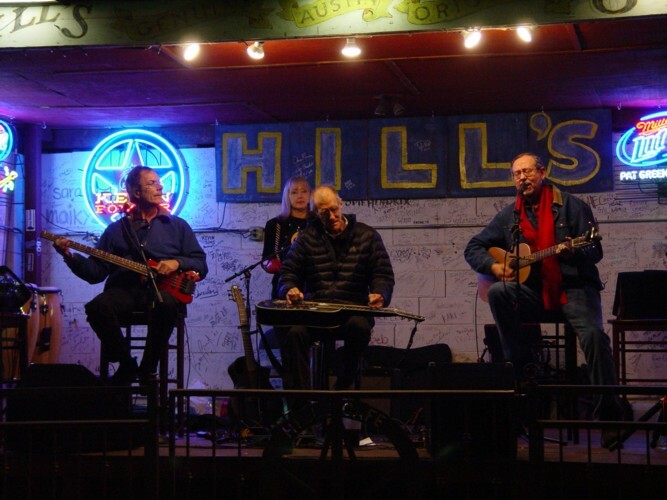 Another of Larry's oldest pals, Chuck Ditto, played piano and Danny Hawk is on steel guitar. Maybe POCO will get wind of it and decide to cover it too. As Larry would say, "who knows?!" One of my original song tributes to Larry, OUR LITTLE MAN, also found a place on this album. My thanks to Chuck for the "rainbow" idea. This CD is dedicated to three friends who are all songwriters: SALLY TOWNES, STEVE BROWN, and JACK MATHES. I wrote about my history with Jack and Steve in the liner notes of the FRONT ROOM MUSIC ALBUM in 2003. Sally Townes, a professional musician, played most of the keyboard tracks on this album, and joined me for a zydeco duet arrangement of Muddy Waters' GOT MY MOJO WORKING. I first heard this song by organ master Jimmy Smith on a vinyl Verve record in the 60s, and decided to call my rock band THE MOJO HAND. Another bit of trivia: Sally Townes was in that band, back in 1967! Her piano work on SMALL BETRAYAL is truly amazing. The song has a timeless quality and is part of a trilogy that began with ROSEWOOD PIANO and ends with NEITHER HERE NOR THERE (from earlier CDs). 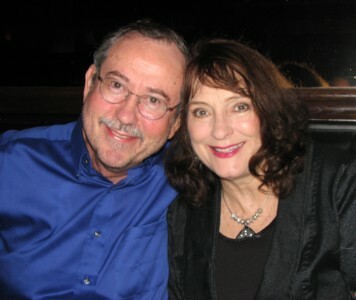 Leslie and I have been fans of SARA HICKMAN for many years and when I wrote WISH I KNEW, I immediately thought of her as the perfect duet partner to sing it. Sara is as gracious as she is talented, and she was kind enough to accept my invitation. Naturally, she hit a homerun with her passionate vocals on WISH I KNEW. I think it's one of the top ten songs I've written, so I'm happy to share it on this album. You should definitely check out Sara Hickman's albums if you haven't already. She's also a brilliant performing artist, and I've been around long enough to know. I met the late BLAZE FOLEY in 1979, while working at Runaway Radio, KLOL-FM in Houston. Blaze was among the colorful and talented characters on the Houston scene at the time, and we shared the stage at Corky's on a few occassions. 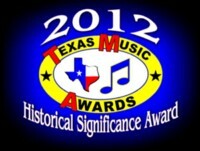 When Ryan Rader began working on a series of tribute CDs featuring Blaze's songs, I was invited to participate. On Blaze Foley Volume Too, I performed NO GOODWILL STORES IN WAIKIKI. Lately I've noticed a resurgence of interest in Blaze's life and music, and I decided it would be fun to add the tune to this album. Incidentally, there are now a few good Blaze Foley collections available on CD, aside from the tribute series. LEANING ROCK is a fictional story-song I wrote years ago. I've read countless novels and short stories by many of the great 'western' writers. This song was inspired by Louie L'Amour, truly a gifted story teller if there ever was one! Thanks Louie, for your extraordinary imagination and the powerful characters you brought to us so vividly. Doug Taylor, Greg Lowry, Leslie, and Kevin Hall (the Daydreamers) helped me bring LEANING ROCK to life. You can search the map, but your chances of finding Sharktooth, Arizona are about as remote as discovering the Dutchman's gold. I wrote MESS of BLUES on July 4th, which just happens to be Stephen Foster's birthday! The song has nothing to do with him really, except for the fact he could really relate to the blues. It's in his music that has moved people for more than a hundred and sixty years. Consider this quote from W.C. Handy, Father of the Blues: "I suspect that Stephen Foster owed something to this well, this mystery, this sorrow. 'My Old Kentucky Home' makes you think so at any rate. Something there suggests close acquaintance with my people..."
Though America could boast of many remarkable individuals and events during the Nineteenth Century, it was a hard time. Slavery, the Civil War and subsequent assasination of Abraham Lincoln, wholesale slaughter of over 60 million American Buffalo, and the near annihilation of the Native Americans were enormous tragedies. Despite the world's undiminished romanticism of the American West, the last decades of the Nineteenth Century easily rank among our darkest hours. For Stephen Collins Foster, times were never easy, even before the War Between the States. Copyright laws didn't exist back then; nor did the recording industry. In my view, Foster's demise owed less to his domestic problems than to the damage inflicted on the Amercian psyche and economy by the Civil War. And yet, ironically, as hard times come once more to America, Foster's words may again ring true and his music soothe the souls of those willing to listen. As Walt Whitman said: "The subtlest spirit of a nation is expressed through its music-and the music acts reciprocally on the nation's very soul". BEAUTIFUL DREAMER - The Songs of Stepen Foster CD - Collection of 18 songs contemporary recordings by diverse artists, such as Raul Malo, Alison Krause, John Prine, Mavis Staples, Roger McGuinn, Michelle Shocked, and more. (American Roots Publishing. Copyright 2004). 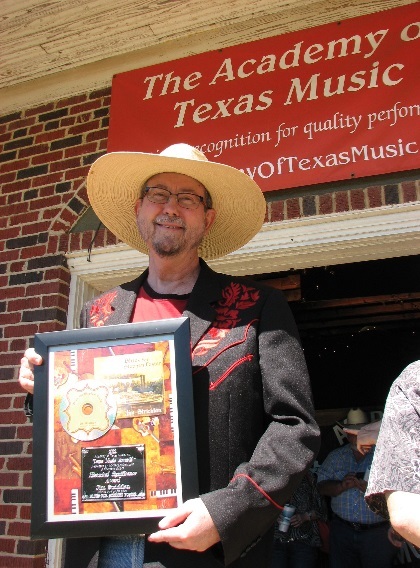 Jim Stricklan is the old-timey variety store of Americana Music. Down this oak-planked aisle you�ll find some fine blues, while two aisles over earnest folk and gritty country share counter space. Classic rock is unplugged and all wrapped up in C.F. Martin wood tones under the glass case near the store�s entrance, with story songs set against the back wall next to the catchy ditties. Traditional melodies are, of course, in the polished maple rack behind the register, stacked on top of the minor chord outlaw ballads. All this aural separateness is housed in the same venerable building, and carries the same Stricklan brand. It�s really country�well, kinda, but it�s everything else, too. And it�s terrific. Stricklan�s Blues for Stephen Foster continues his decades-long fascination with both the Old South and the New West. His original songs are paeans to the Western life combined with a full dose of that wild blend of South and West that is Texas, and the covers he chooses are, as usual, surprising and effective. Wish I Knew is a knockout ballad, a duet with Texas legend Sara Hickman that�s everything an acoustic lost-love song could hope to be. Stained Glass Heart, a compelling two-step written by Stricklan�s late pal Larry Rothwell, is given the full Lone Star treatment, and would be at home on a classic Jerry Jeff recording, while Stricklan�s own tribute to Rothwell, Our Little Man, is a moving remembrance. George Harrison�s While My Guitar Gently Weeps is reborn as a jazz-tinged instrumental, with Procol Harum�s classic Whiter Shade of Pale becoming a fingerpicker�s dream. The emotional piano-driven Small Betrayal would do Jimmy Webb proud, and Muddy Water�s Got My Mojo Workin� brings visions of Dr. John meeting Little Feat. And then there�s the title cut. American music historian Mark Gardner contends that the minstrel music of the mid-19th century was in reality the first pop music, with the first �hit� being Old Dan Tucker. The purview of white northern songsters who paraphrased black songs of the south, it became enormously popular in pre-Victorian parlors and cow camps alike. Throwing traditional melodic elements into the homegrown, southern mix, Pennsylvanian Stephen Foster became the genre�s superstar, its Hank Williams�flawed, often asocial, and brilliant. The irony of a northerner penning songs that came to define the South notwithstanding, Foster�s gorgeous melodies and smart lyrics were adopted by the southern states as their own. 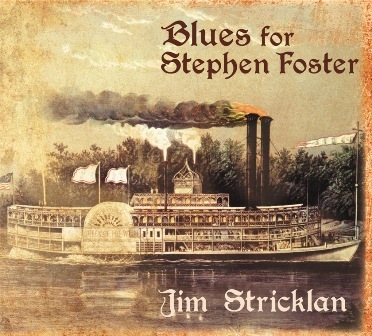 Blues for Stephen Foster is Stricklan�s homage to this enduring legacy. He seemingly channels Foster in this unique medley, a moody and gorgeous tribute utilizing the amazing talents of the world-renowned Acoustic Eidolon (cellist Hannah Alkire and her guitarist husband, Joe Scott). This amalgam of Foster�s songs is simply stunning, and is kept in that little section of the Stricklan store that�s reserved for only the best customers. After all, it�s a jewel.